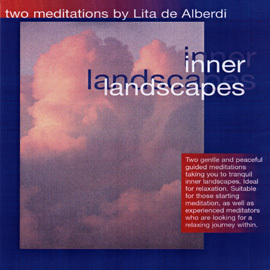 Two gentle and peaceful guided meditations taking you to tranquil inner landscapes. Suitable for those starting meditation, as well as those experienced meditators who are looking for a relaxing journey within. Track 1: A Walk in the Forest. Leave behind the stress and worries of everyday life. Visit an enchanted forest of peace and tranquillity and return refreshed and renewed. Track 2: Moon on the Lake. Release all your tensions and anxieties beside a lake of serenity. Achieve inner peace and calmness. A very popular title. Two beautiful and relaxing journeys that are suitable for both beginners and experienced meditators. Track 1: The Cave of Silence. 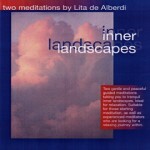 A relaxing journey through a beautiful landscape of light, to clear the mind. Held gently by deepest love, you travel within to find your own serene place of inner knowing and perfect balance. Track 2: Working With Light. A heart opening meditation. Let the gently healing frequencies of pure love fill you, a powerful experience that can enhance your ability to radiate light and love to all. These are two empowering meditations for people who really want to to open their hearts and help our planet and our environment. 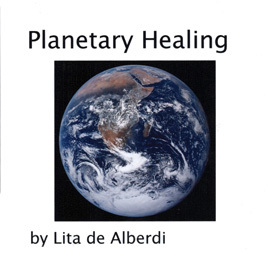 Heal the energy of your home, your neighbourhood and the earth. This energy work is particularly important at this time of climate change and crisis for the Earth. 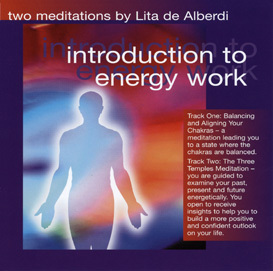 Track 1: A meditation to heal the energy of your home and your neighbourhood. 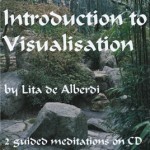 Lita has been teaching people to meditate for many years in her own gentle and loving way. Drawing on this teaching experience she has made this product, introducing two classical ways to start a meditation practice. Professionally recorded, English voice with Michael Hammer’s music in the background. Soothing and relaxing. This high quality recording has two meditations, each of which is preceded by a short explanatory talk. The first meditation leads you to focus on the breath, a classical approach to learning to meditate. 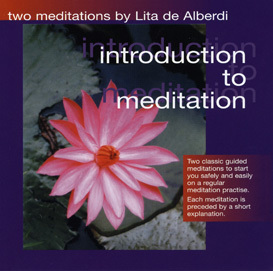 The second meditation takes you to a state of inner stillness and relaxation. With practice you will find that you can reproduce this state of calm and quiet within even when every day life is stressful. This wonderful product teaches you how to bring your chakras back into balance in a powerful meditative process as well as to tranform your past, your present and your future by working with energy. In the first meditation you learn how to bring your chakras back into balance in a powerful meditative process. By ensuring that chakras are balanced, a freer flow of energy can bring positive feelings of health as well as a sense of balance, wellness and strength. The second meditation is one of Lita’s favourites. In three beautiful temples you are guided to review your past, to take advantage of the present and to build a more positive and light filled future.